The Naismith Memorial Basketball Hall of Fame is the owner of many trademark registrations. Based on its broad portfolio of registrations, it is taking action in federal court against a for-profit company that it claims to be concerned with due to the potential that consumers will be mislead to believe there is a connection between it and the Hall of Fame. 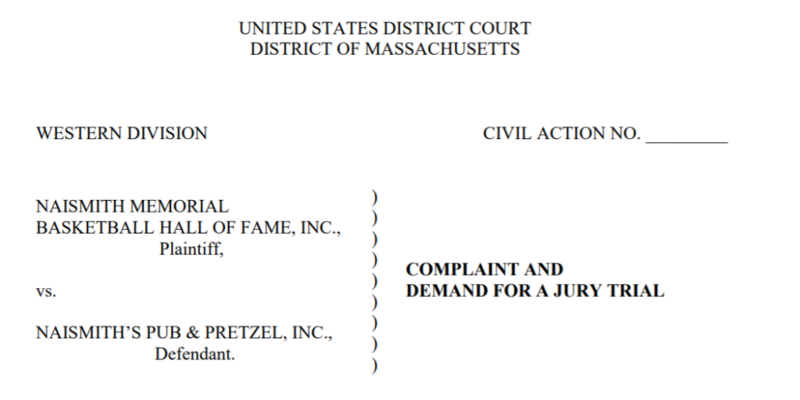 The defendant in the matter goes by Naismith’s Pub & Pretzel; thus, the theory of a false connection is absolutely conceivable. The Hall of Fame filed suit for trademark infringement, dilution and unfair competition on March 28. The Complaint cites to longstanding use of various marks, including that for the Naismith Memorial Basketball Hall of Fame’s name in connection with educational and entertainment services, going back to July 1959. In total, the Basketball Hall of Fame spends roughly $200,000 per year in advertising under its marks, per the Complaint. It also spends approximately $2 million per year in television rights fee value. Much of the first half of the Complaint is used to lay a foundation as to just how prominent the Basketball Hall of Fame is on a national and international level. 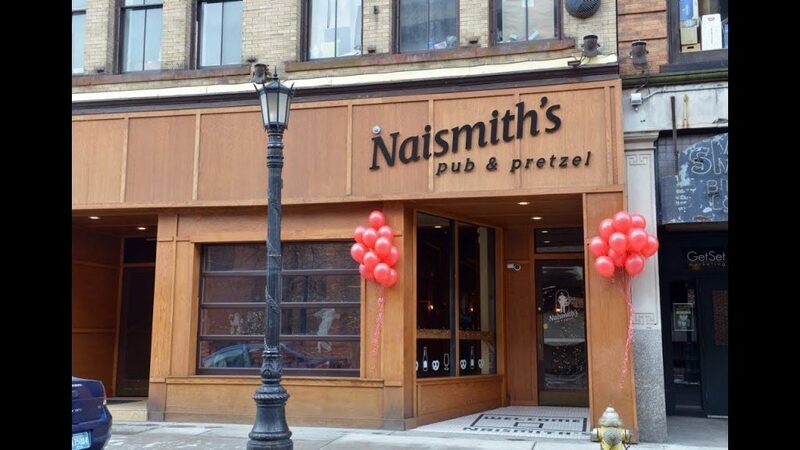 Then, we learn about Naismith Pub & Pretzel, the defendant in the action. The Basketball Hall of Fame believes that the defendant opened its restaurant to the general public on December 8, 2018 with the intent to trade off the goodwill established by the Basketball Hall of Fame and to draw customers to the food establishment. While the dominant word “Naismith” is copied, the worst fact for the defendant may be that the establishment it operates is merely 1.3 miles from the Basketball Hall of Fame. Furthermore, the Basketball Hall of Fame believes that the defendant is using images and/or illustrations of James Naismith throughout the restaurant. The Basketball Hall of Fame is seeking injunctive relief that would prevent the defendant to continue to use the word “Naismith” in any manner as well as account to the Basketball Hall of Fame for defendant’s profits arising from the alleged acts of dilution, false designation of origin and unfair competition and then be awarded three times the greater of the plaintiff’s damages and defendant’s profits.